NEED HELP COMING UP WITH A REUNION T-SHIRT SLOGAN? We are in the heart of reunion t-shirt printing season. And, that’s fortunate for all of us in the digital, screen and graphic printing businesses who will produce short or long-run t-shirt projects for family, high school or other gatherings in the next several months. Whether you operate from a part-time garage-based printing business, a store-front location, an embroidery + digital printing shop, a silk screen printing commercial enterprise or digital printing company – everyone reaps the benefits. And, the graphic designers are pretty excited to unleash extreme, comic reunion designs and slogans on the masses. We are the people our mom warned us about. In their blog, bluecotton.com offers some pretty F.U.N.N.Y. reunion slogans. Click HERE to read their suggestions for some good one-liners. And, then there are these from Zazzle.com. Both companies offer a place to start when needing shirts with comic slogans. And, one tip. With children and tweens in the mix, remember to check on the slogan rating before authorizing the printing order. The survivors and ‘thrivers’ of reunion-land are all the t-shirt printers and their behind the scenes support; companies like RhinoTech who manufacture and distribute digital, screen and graphics equipment including digital heat transfer papers and printers and screen cleaning products, washout booths, filtration systems and more. Because of eco-friendly cleaning products, for example, screen frames are cleaned quickly and fully for reuse to enable the printers to continue to produce millions of reunion t-shirts on a nation-wide basis. Those that also thrive and are winners are all the customers who now have an idea of how to get their shirts printed with some unconventional reunion slogans and/or how and where to have their own creative one-liners come to life on a t-shirt. To everyone involved in reunion season, keep on laughing! Much appreciation is extended for taking the time to read this news. Make your Screen Printed Apparel ICONIC with 47 Colors. These images are of two Hermès of Paris scarves that were gifts to me. Their original owner was a life-long friend who felt that an outfit just wasn’t complete without a beautiful scarf. I remember her being especially elegant and sophisticated when wearing one of her gorgeous, purchased-in-Paris silk scarves. Four years ago, my darling friend died at too early of an age. I was deeply touched when her sister wanted me to have two of her Hermès of Paris scarves. When I wore one for the first time, I finally understood the special effect of an Hermès. Isn’t that the same effect we want our apparel to have on customers? How does a screen printer’s work become iconic like the house of Hermès? Is it by using many screens similar to the 47 screens that go into printing each Hermès scarf? Or is it like the 11 stages of silk screen printing that Hermès screen printers go through to create the perfect art? Or is it just the original design? Or…. is it similar to the “Tipping Point” (by Malcolm Gladwell) when he shares the story of Hush Puppies shoes that were suddenly “discovered” by a younger generation that helped the company return from a downward slide (I hope I’m remembering that correctly; BTW – great book for anyone in business). So, how do screen printer’s creations get discovered? One way is to think impulse buy. Pierre-Alexis Dumas, the artistic director of Hermès International and the great-great-great grandson of Hermès creator Thierry Hermes shared the story about the time he saw a long-haired young man with roller blades buy a twilly, a small silk band scarf in the Paris Hermes store because he needed to hold his hair back. What a opportune moment for Hermès and the next group of potentially young consumers seeking out silk bands by Hermes! Talk about on a whim purchase helping to tip the scales in a new direction! I think there’s much that those of us in the screen printing industry can learn from Hermès of Paris; about creating something that’s timeless with perfect technique that offers perfect art (think: vintage Rolling Stones T-shirt). And, a pathway to a very different status with apparel that appeals to the “impulse”. Just like the screen printers who send their original printed designs to their favorite musicians or to American Idol contestants and then spot them wearing their shirts in local and national venues and in the media, be proactive. When Grace Kelly was spotted in a Hermès of Paris scarf, you already know what that did to help make Hermès accessible and symbolic of beauty and class. Here are a few thoughts: Retire a bestselling piece and then give it new life after sufficient hiatus. Add a touch of an unexpected color in the design. Give it a vintage edge. Print it on a more form fitting, athletic-type shirt that does away with the baggy effect. Print on DARK. And, make it into a t-shirt dress that is always timely. Use an Icat or exotic motif. Make your creations accessible to impulse buyers. And, get your art out on social media. And, remember, there is not just one type of customer. They are all ages and sizes. I learned the history of the Hermès of Paris printing technique after stumbling upon a few articles written by Allison Carey, The Plain Dealer. She detailed an event in 2013 hosted by The Cleveland Museum of Art and Cuffs Custom Clothing of Chagrin Falls that featured Hermes of Paris and two printers from the Hermès Ateliers in Lyon, France, who were invited to demonstrate the secrets of printing the company’s iconic scarves. I’m grateful to Ms. Carey for the information. Please read her articles Here and Here. Is this what you wish to achieve in your small business, as well? Do you share these values with your customers? Do you put your heart and soul into everything you produce? What about your printing technique? Dumas relates that although the process has changed since 1937, art is unable to be separated from tools. “All artists love their tools. They love their brushes, their little tricks, their recipes and techniques. Artists are inventors and innovators…” . Do you love your tools; your printing press, the squeegees that should be in top form to lay the ink onto your substrate? Do you have a perfect set-up? Are your screen cleaning products eco-sensitive (think RhinoTech environmentally-sensitive screen cleaning products) and perfect for the job at hand? Do the final results of everything you do in your work reflect your best creative efforts? Do you embrace new tools and technology like Dumas who offered that though his company has employed the same master screen printers for decades, they explore all new digital and other technologies to ensure that the art that results is true? We want you to be iconic and hope we can help. Thanks for reading. GLUE. AEROSOL ADHESIVE WEB. DO YOU HAVE CROSS-OVER PRODUCTS? Cross-over products are those that, accidentally or on purpose, have been found to have multiple uses instead of just the one they were originally intended. You can find them all over the place. Anyone remember Pepsi AM for the “breakfast cola drinker” (circa 1989)? It was supposed to be the cross-over into breakfast product, but, fortunately for all of us humans, it died out quickly. You can read more about well-intentioned cross-over products including Ponds toothpaste, Cosmopolitan (Magazine) Yogurt and Coors Rocky Mountain Spring Water at this site: http://www.businessinsider.com/qwik-fails-15-disastrous-product-launches-that-were-quickly-killed-2011-10?op=1#ixzz36EZGjIwX. And, beyond that, do you have undiscovered cross-over products? RhinoBond™ Toughened Frame Adhesive Systems requires no premixing of solvents and offers tension holding capabilities of over 90 newtons. The wide range of viscosities available ensure a secure bond of mesh to wood or aluminum screen frames. The RBT Series is flexible, impact toughened and has great removal characteristics. They dry in seconds and are non-hazardous. Because of these amazing characteristics, especially the non-hazardous part, RBT 100 (super, super, super glue) is often used by beaders as an adhesive to use to secure a knot on a bracelets and necklaces and to hold beads in place. Compared to other jewelry-making glue in that growing market, this glue surpasses. It will dry quite quickly, as well. As always, follow directions for handling and don’t glue your fingers together! It’s $37.00 for the Kit. Discovered by a quilter searching for a better bonding product, we’re showcasing RBA3 Spray Web, an aerosol adhesive that is much like the product used during Halloween to create spider webs. RBA3 Adhesive Web is the quilter’s adhesive of choice for several reasons. One, it is part of the RhinoClean Green line of environmentally-sensitive products. Two, the “web” is quite self-contained so over spraying, unlike what is often found with other spray adhesives specific to the crafting/hobby market, is a non-issue. It works particularly well during the sandwiching phase of quilting as it is able to be respositioned. This adhesive web is strong enough to hold sweatshirt material in place and it bonds easily to a variety of materials without transferring adhesive to the fabric that is a highly important element. And, it washes out. This quilted, reversible yoga bag in the featured image was constructed with RBA3. It’s soft and durable with two pockets large enough for a water bottle, wallet, keys, suntan lotion and more. A yoga mat easily fits. If you’d like to order a finished bag or 1 or more cans of RBA 3 Spray Web, contact RhinoTech at 651-686-5027. At $6.99 for a 13 oz. can, it’s a steal! And, with a $50+ purchase, FREE SHIPPING is available within the contiguous U. S.
As always, thanks for subscribing to this site. 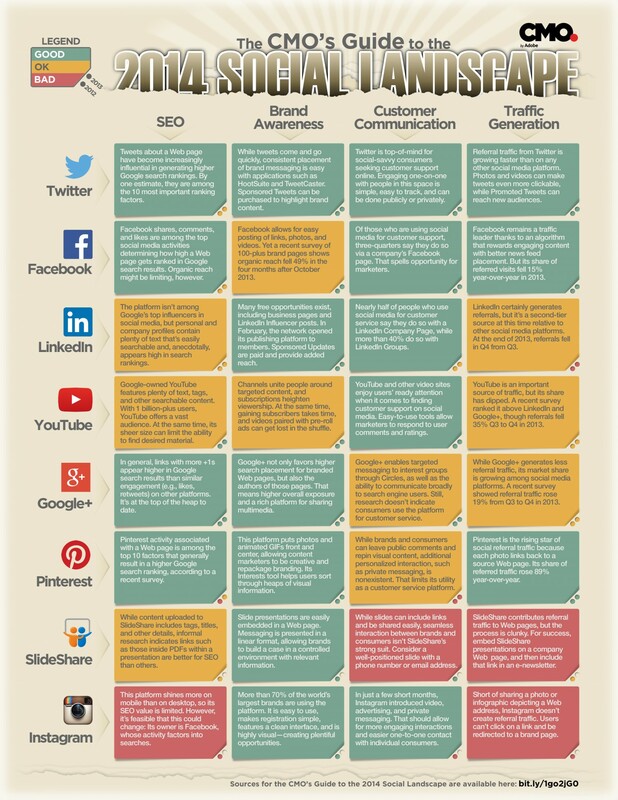 The CMO’s Guide to the 2014 Social Landscape. This is a great article shared by Brandlove. Weren’t aware that “Pinterest activity associated with a web page is among the top 10 factors that generally result in a higher Google search ranking, according to a recent survey?” Aren’t excited about Google+? Read on and understand why you should be. RhinoTech is one company that has learned along the way that utilizing social media is a great tool, customer and friend builder. Don’t delay! Thanks, again, for reading and subscribing and sharing this info. And, kudos to Brandlove for continuing to offer great info time after time…. Screen Printing. Bold. Multi-dimensional. More Artistic than Ever! “Old School Screen Printing in the Digital Age” (SGIA Journal, Winter, 2014) reflects what we have never disregarded – that traditional, manual screen printing remains a mainstay in the art and reproduction world despite the onset of the digital age. For those rediscovering or just discerning its potential, the simplicity and relative affordability of setting up a home-based or storefront studio and the dynamics of creating/selling beautiful, handcrafted pieces has kicked up a firestorm of brilliance. As mentioned in the SGIA Journal feature, Etsy (on-line), art festivals and even Thunder on the Bay (a Sarasota, FL, biker festival of music, crafts, art and food) represent the face-to-face business that is building as manual screen printing churns out vivid creations in wearable and print arts. Various venues in 2014 will continue to host specialty, handmade items in small batches. Check out Art Expo in NYC. Watch for music festivals in Seattle, Barcelona, Chicago, Austin and Hamburg, Germany via Flatstock poster shows. The Renegade Craft Fairs in London, Chicago, Brooklyn, Austin, LA and San Francisco will also be favorite exhibits sites to be awed as will be other arts/crafts fairs throughout U.S. cities and around the nation. And, for the artists who are venturing into printed art/fabric design that appeals to commercial enterprise, the resurgence of manually screen printed items remain big ticket items. Gregory Markus, president of RhinoTech was interviewed after his attendance at a fine art show in the Park Avenue Armory in NYC that is a grand, towering exhibit space in itself. He noted the multi-dimensional screen printed art on display, the bold graphics and sharp, expressive designs. His zealous enthusiasm was infectious regarding the artists whose multi-layered original art prints represented a new wave of “traditionalists” creating limited-edition posters, lithographs and more. The reemergence of this manually screen printed work, whether displayed in private or commercial arenas, signals an energized marketplace and excitement for a vastly creative, hands-on method in which to design and create. And, importantly, it helps to dispel the myth of manual screen printing’s downturn in favor of a solely digitally printed world. With a 30+ year background in fine art, screen, graphics and digital printing, Mr. Markus has been witness to bold changes and a new facination in producing art with manual screen printing! RhinoTech is an example of a company that has remained true to its roots, firmly immersed in all things screen printing; yet, has recognized the value of digital printing and its highly creative genius. The company’s ability to blend these two types of printing practices helps all printers learn how to merge these processes under one roof to meet their own creative outlets and the needs of their customers. For example, though highly simple and refined software like Smart Designer Creative Assistant X6(that blends with CorelDRAW X6), this art production software tool offers value to both digital and manual screen printers. By tracking the pulse of these art-in-all-forms producing industries, RhinoTech offers value to its customers through providing software, screen cleaning equipment, earth-friendly screen frame cleaning chemicals, adhesives, manual screen printing accessories AND digital heat transfer equipment, the latest specialty transfer papers for use with both laser and inkjet printers. Thanks for reading and checking out our site!